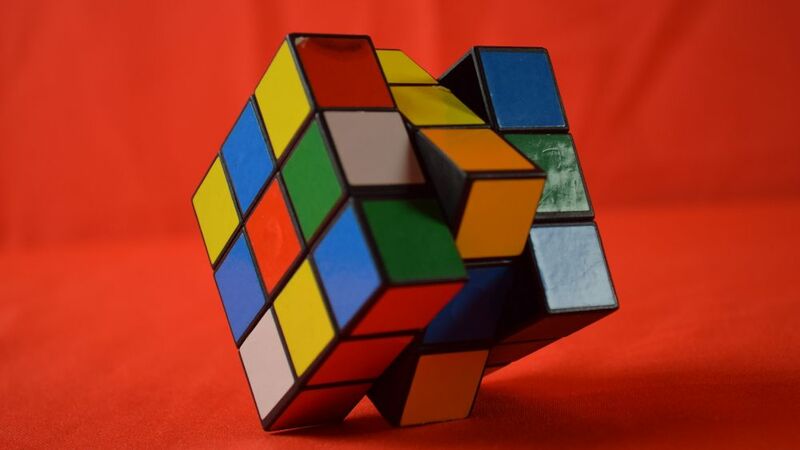 There are different combinations, schemes, formulas and algorithms how to solve a Rubik’s cube. We have prepared a step by step instruction with pictures for the amateur fans of puzzles like this. Turn the upper facet (U) to the left. Put the right facet (R) down. Turn the upper facet (U) to the right. 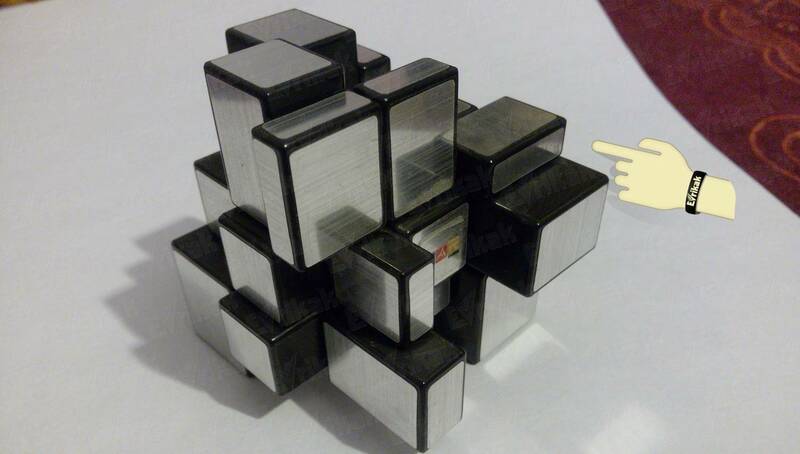 If you follow the instruction and use a PIF-PAF algorithm for 6 times, the cube will take its original position. We’ll solve a cube’s white layer, placing it at the bottom of the cube. We are searching for a green-orange-white square for this purpose (this can be any other one with the white square) and place its white color at the bottom. We should place the orange-and-white cube in such a way that white square was down. We should do it to the right of the orange cube. We are searching for a necessary element for this purpose, rotating the upper layer and set it on the right facet. The orange square looks straightforward and white one looks to the right in our case. After the required corner has taken its place, it should be put down, so we are doing the PIF-PAF combination until it will take its place. We need only one PIF-PAF in this case, the orange and white cubes should take necessary position. 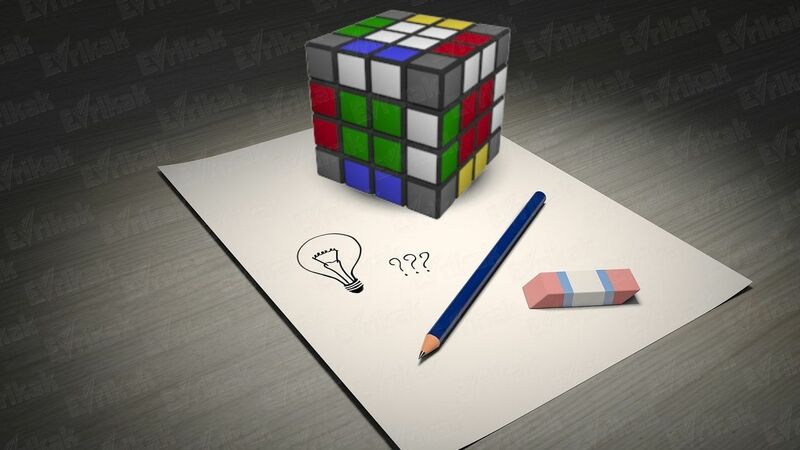 Turn the cube and search for the same blue-white cube as in the left corner. To do this, rotate the upper layer and set the necessary element on the right side: blue square looks right, white one looks up. We put the cube down at the necessary position with the help of PIF-PAF (we should do the algorithm 3 times): two blue cubes are next to each other and the white one is down. We only should put one white square to solve the lower layer. Turn the cube and search for the red-and-white corner, rotating the upper layer. Red square looks straightforward, white one looks to the right. 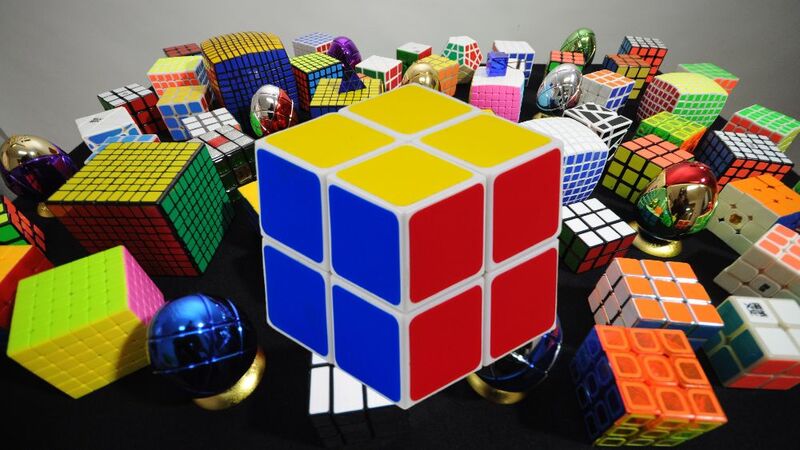 Do the familiar PIF-PAF (we do it only one time) and all the cubes have taken their places. We are starting the second stage: set the upper corners, rotating the upper layer. Look at the cube and check the corners. At least 2 corners must match. If they didn’t match , choose the color of any lower cube (for example, red-green), search for the same one in the upper layer, set it above the lower layer and check whether the corners have coincided. We are doing this manipulation until the coincidence of 2 corners. In our case, red-green and red-blue corners have coincided. Two corners, blue-orange and green-orange, haven’t taken their positions above their pairs, that’s why you should change them. 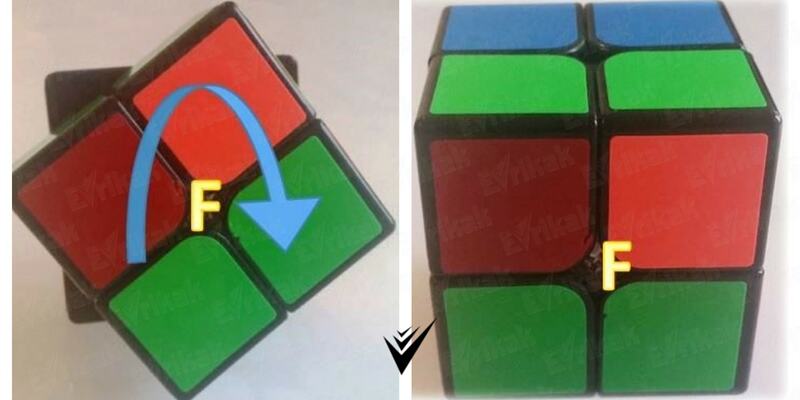 To do this you should place the Rubik’s cube in such a way to make the corners which haven’t coincided look to the right. You should do one PIF-PAF to change the corners. You should do the combination F to the left, U to the right, F to the right, when you’ve done 1 PIF-PAF. Let’s consider it in details. F (front layer) rotate to the left. F rotate to the right. We’ve put all the corners in their places in such a way and now you can solve the next layer. We are starting the third stage: solve the yellow layer. To do this, turn the cube, white layer must be up, and we’ll place the yellow squares at the bottom. Turn the cube in such a way to make the yellow square be at the lower right corner. It is turned to the right in our case. We are not turning the cube in different directions from this moment, we are fixing it and doing PIF-PAF until the yellow square will be at the bottom. We should do PIF-PAF combination for 2 times to make the yellow square take its place. After, we’ve done PIF-PAF , turn the lower layer , a yellow square must be in the right corner and we are still continue holding the cube for the upper layer. This time, yellow square looks forward. We are interested only in the right corner, we don’t pay our attention to the left corner. We are doing PIF-PAF again ( for3 times) until the yellow square will look down. Two yellow squares have already taken their places. The yellow square which looks to the right must go to the needed corner, we must hold the upper layer when we are doing this. Now we are doing PIF-PAFs. Now three yellow squares are at the bottom. Fixing the upper layer, we are making the last yellow square and doing PIF-PAF. All the yellow squares are at the bottom. It’s only left to turn the layer to the paired cubes and the puzzle is solved.